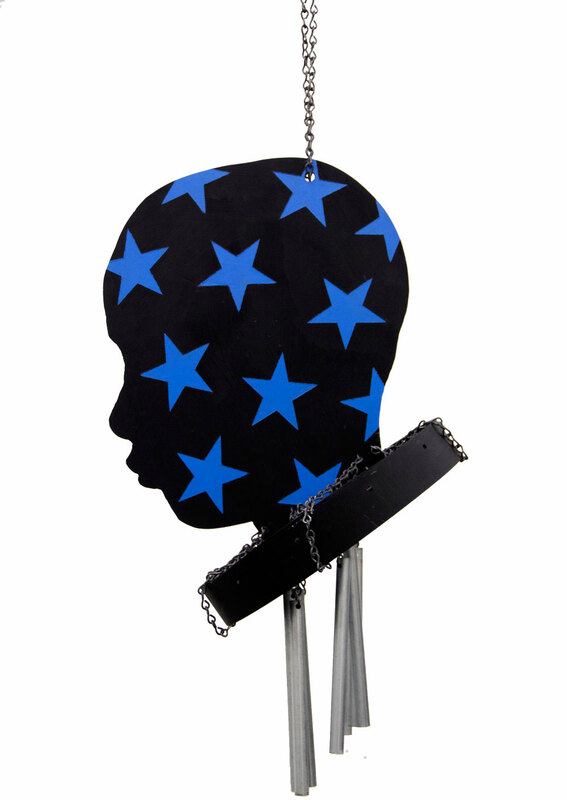 Kevin Demery's works explore the interplay between U.S. history and signifiers of power and invite us to move between their potent aesthetic of geometric color blocks with objects hanging from ropes or chains that are draped over the canvas and recurring motifs of historical violence, surveillance, and childhood trauma. 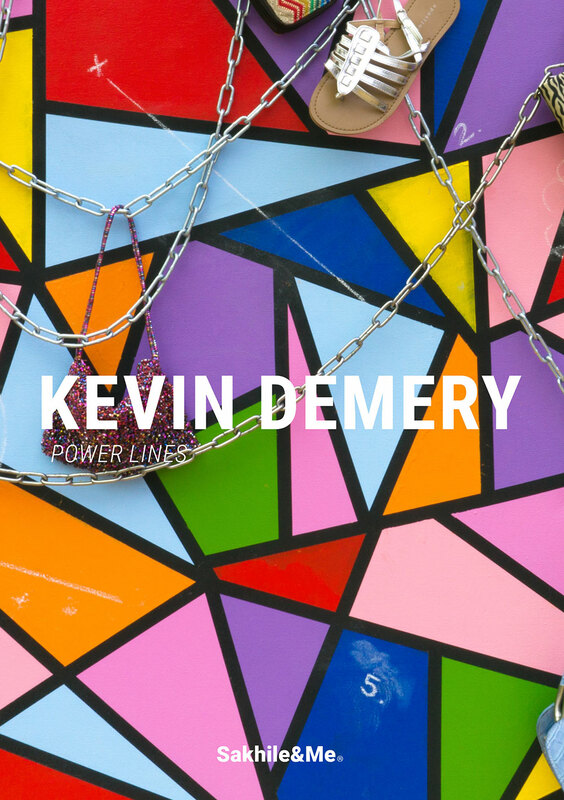 Power Lines is Kevin Demery's first show in Germany. 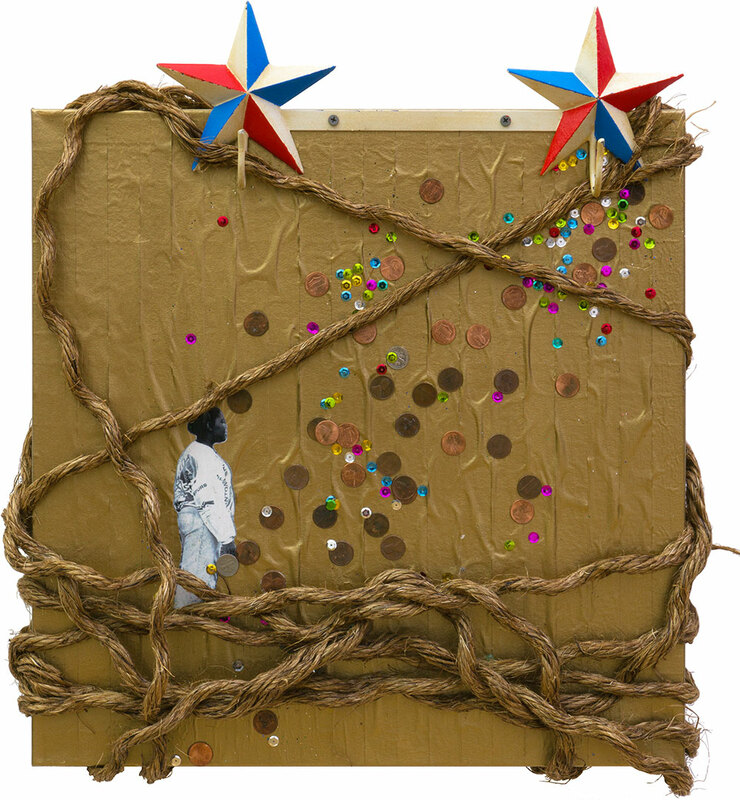 Power Lines is a solo exhibition of recent work by painter and sculptor Kevin M. Demery that explores the interplay between North American history and signifiers of power. 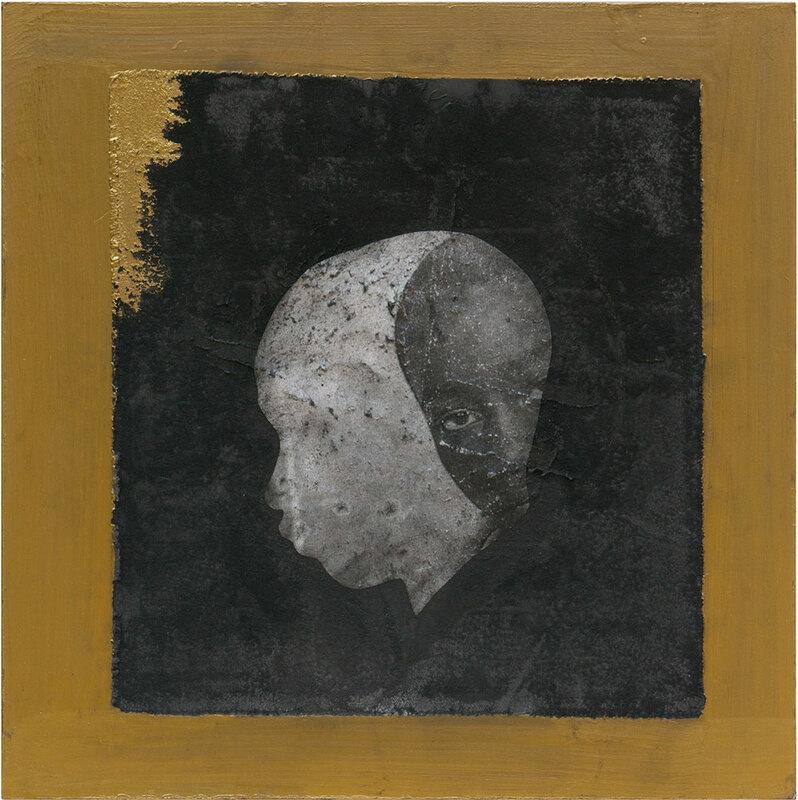 Demery develops a painterly language that invites us to move between the potent aesthetic of his work and recurring motifs of historical violence, surveillance, and childhood trauma. The exhibition is Demery's first show in Germany. 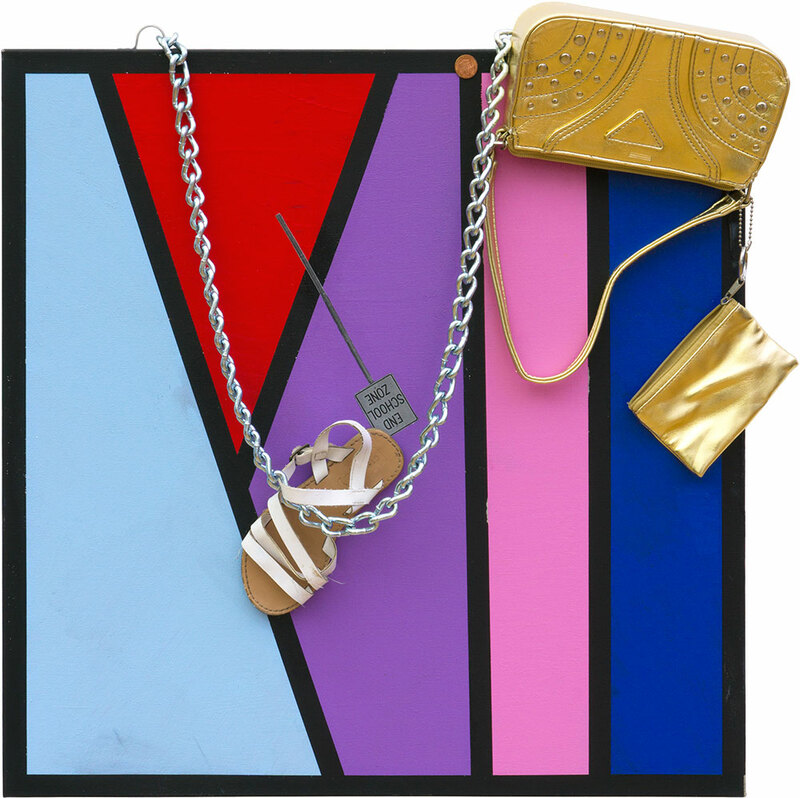 Power Lines depicts a selection of eleven works - nine acrylic paintings on canvas and two pinewood sculptures - almost all of them enhanced with materials such as aluminum, conduit pipes, coins, purses, or shoes. 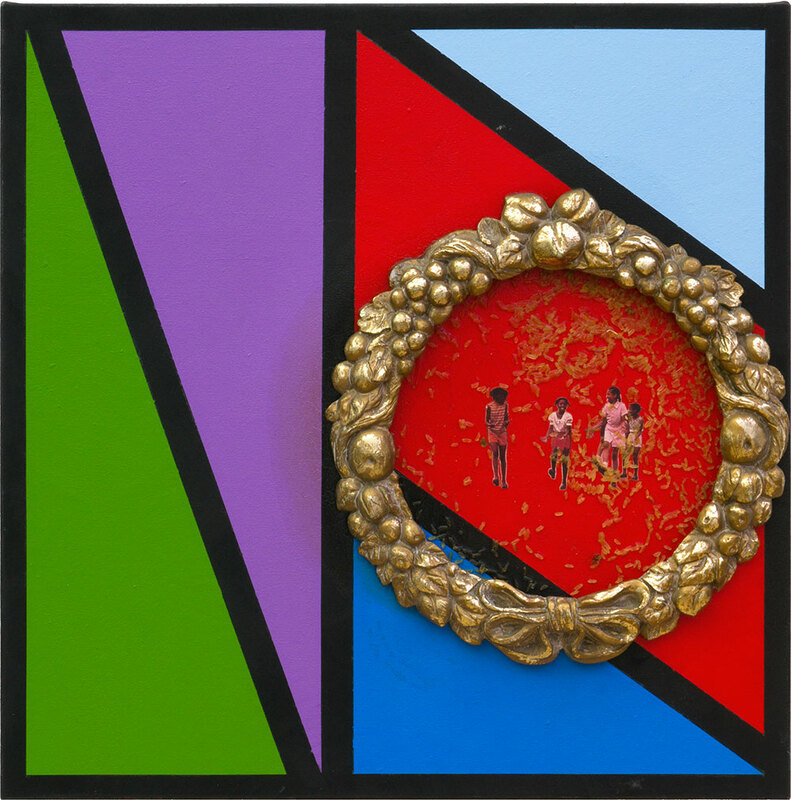 The pieces merge the two-dimensional with the three-dimensional to form poetic snippets of history and collective reflection and range in tone from bright primary colors over pastels to black on gold. 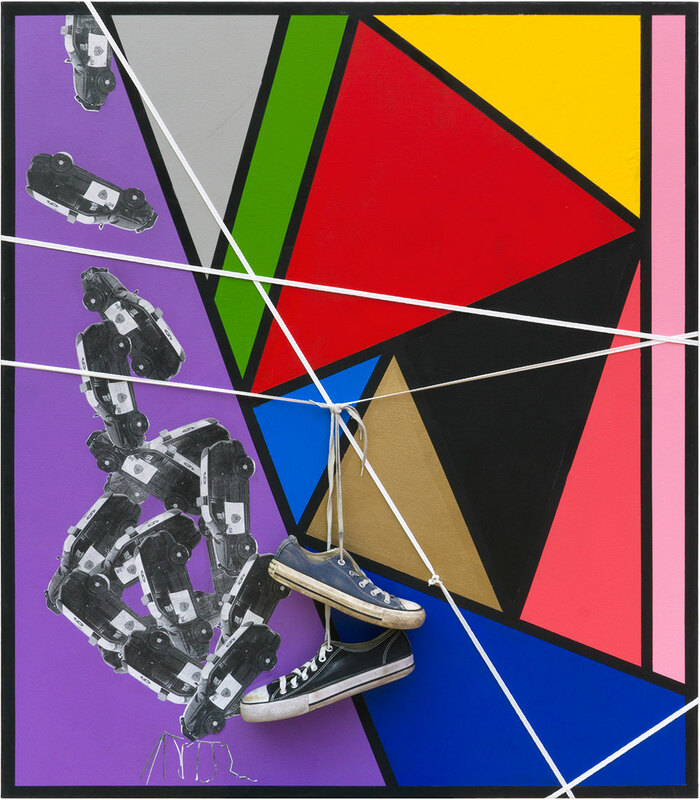 The title of the show refers to Demery's mapping of geometric color blocks with objects hanging from ropes or chains that are draped over the canvas. 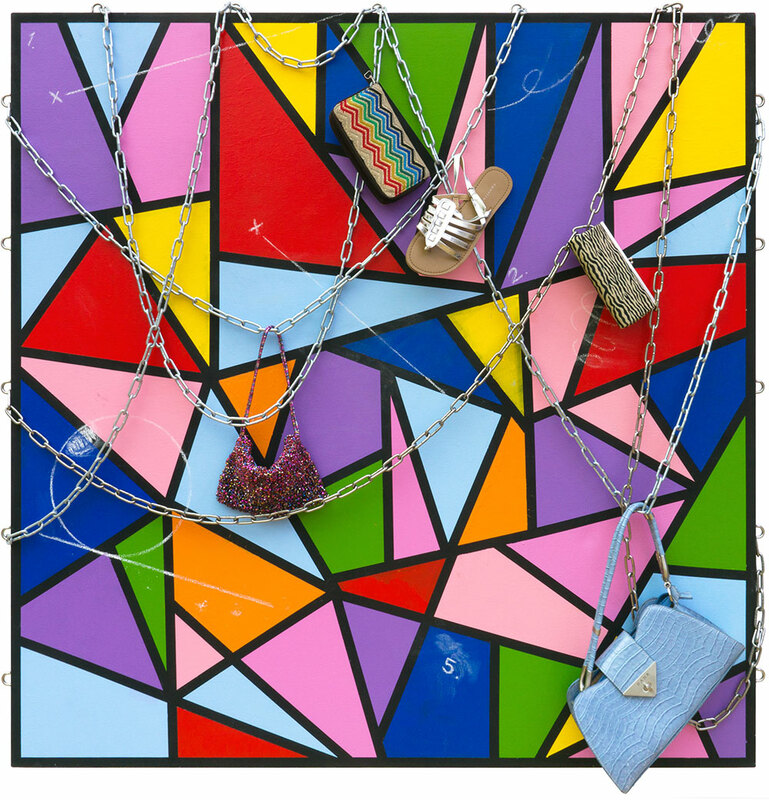 Demery says, "the Power Lines series is originally inspired by seeing electrical lines used to honor deceased members of my community through the hanging of discarded shoes. 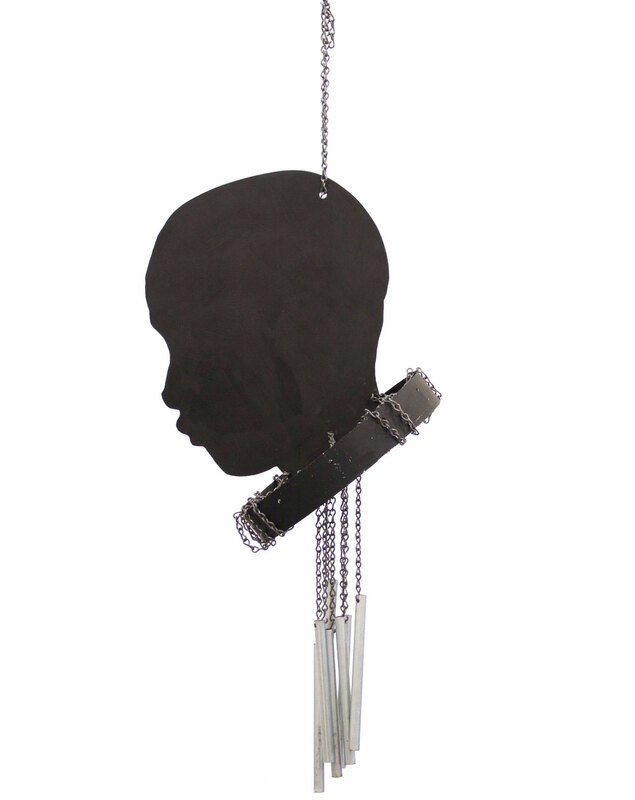 The works draw on concepts of memorials through racial subjugation and use religious imagery like stained glass or chains and jute rope to replace the power lines." Kevin Demery (b. 1992) is a 2018 MFA graduate of the School of the Art Institute of Chicago and a 2014 BFA graduate of the California College of the Arts. 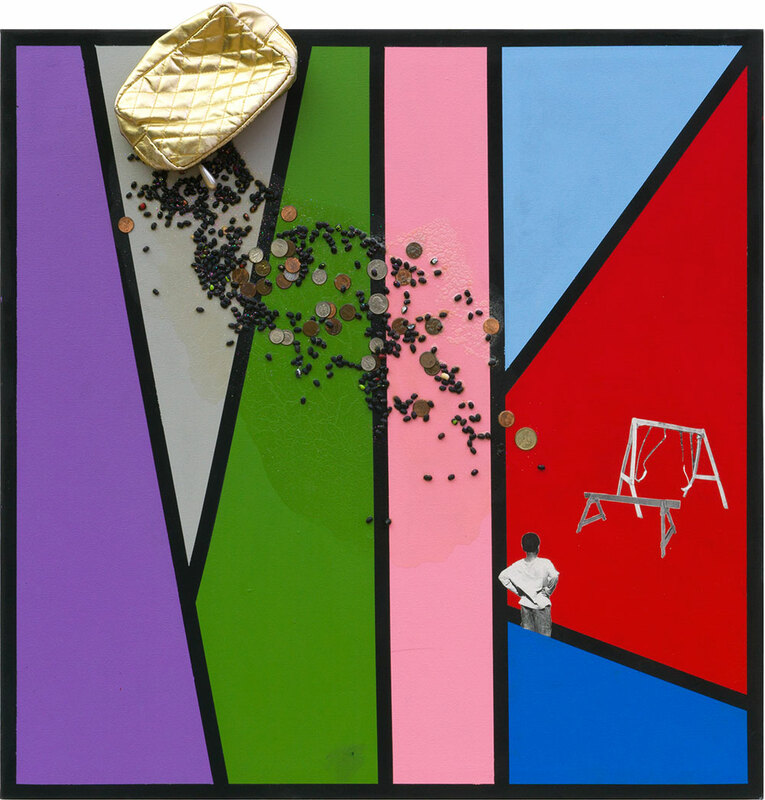 Since 2013, he has shown in both solo and group shows across the Unites States and in both public and private art exhibition spaces. 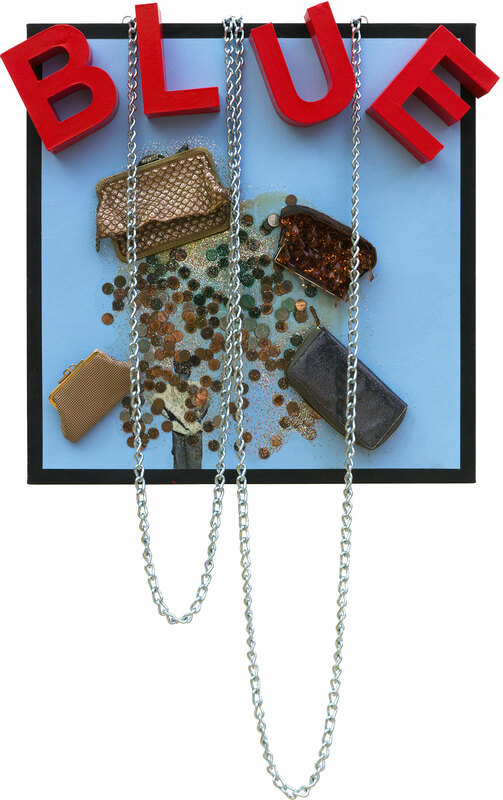 He was most recently a participant in two artist residencies at the Bemis Center for Contemporary Arts in Omaha and the Acre Artist in Residence in Steuben. This catalogue is published in conjunction with the show "Kevin Demery: Power Lines" at Sakhile&Me. It contains images of all the works in the exhibition and a selection of poems by Kevin Demery as well as review essays and an interview with the artist. 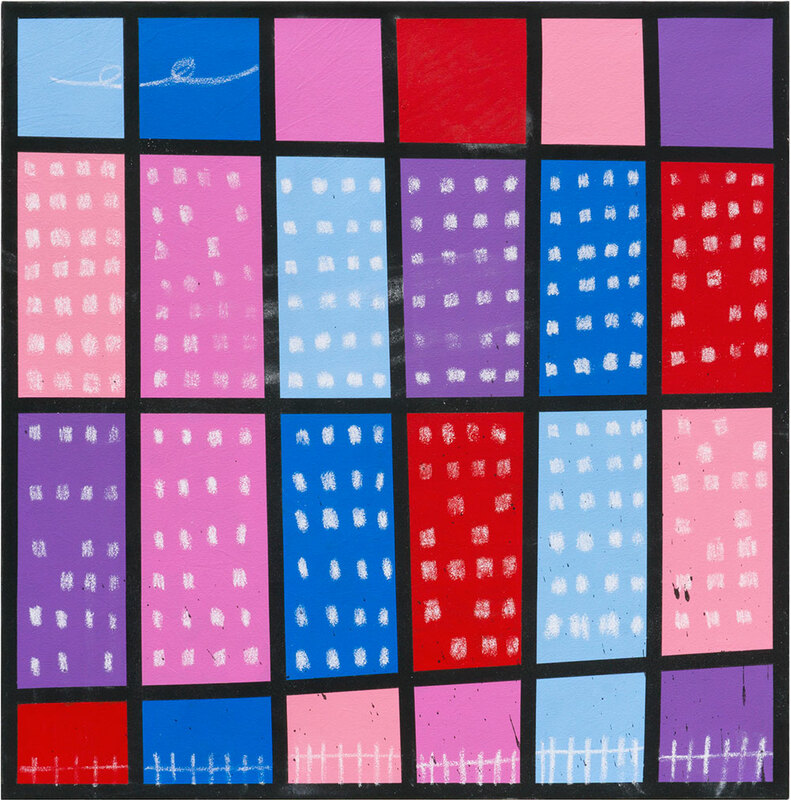 Below you find a list of press clippings about Kevin Demery's solo show Power Lines. Currently no press clippings available.